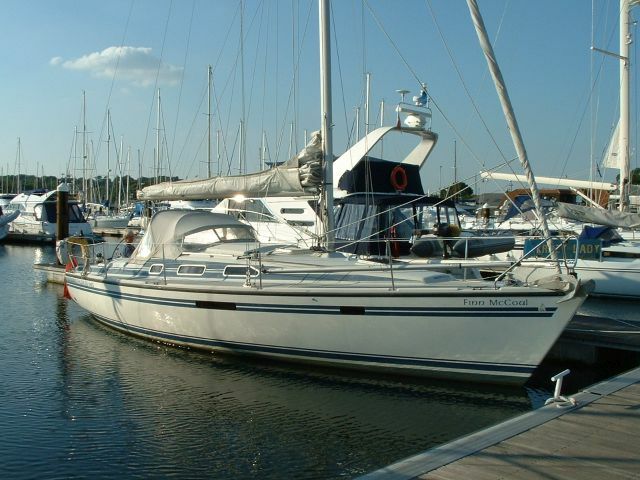 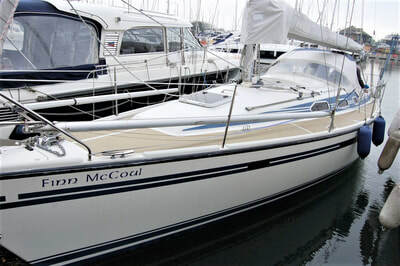 Designed as the successor of the famous Dehler 34 range, this type 35 CWS Cruising was very succesful in combining sail performance with better accommodation. 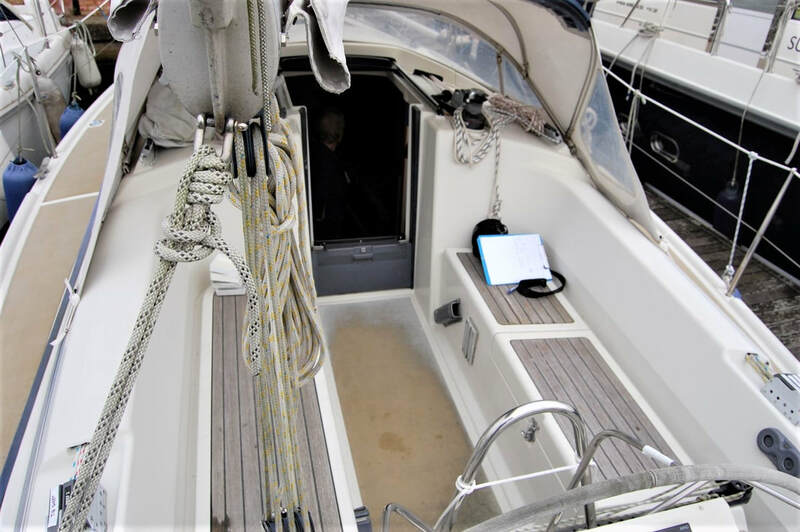 Handling the Dehler 35 CWS is just so easy with her halyards lead to aft. Dehler 35 CWS built in 1994 by Dehler Yachts to a van de Stadt design. 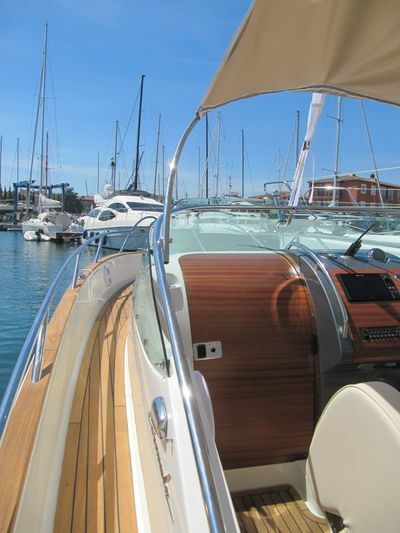 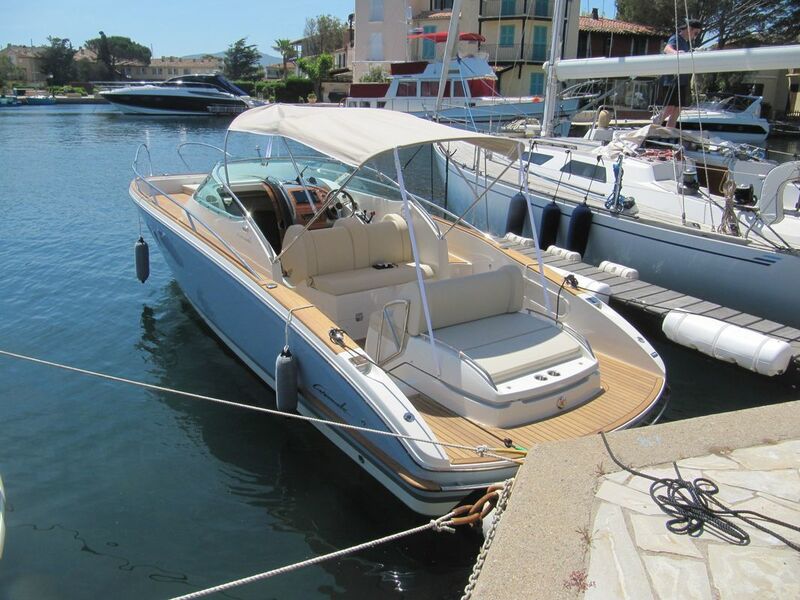 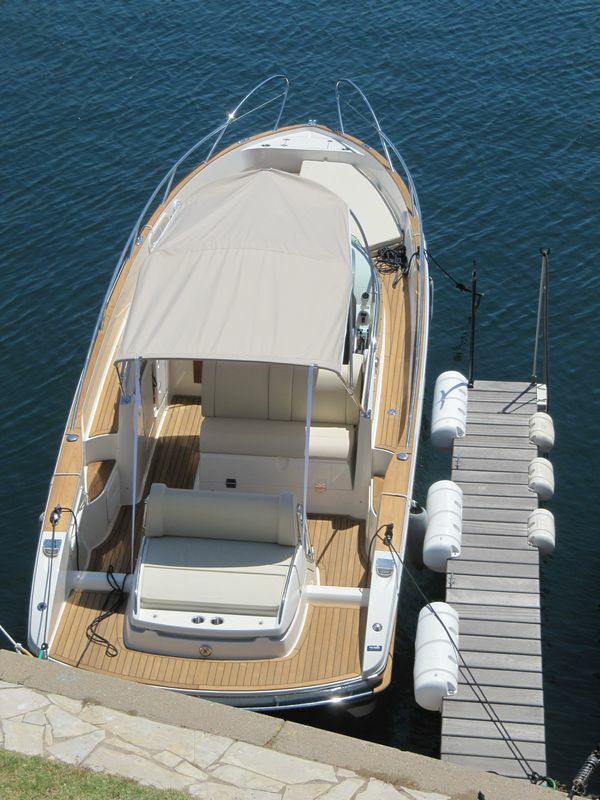 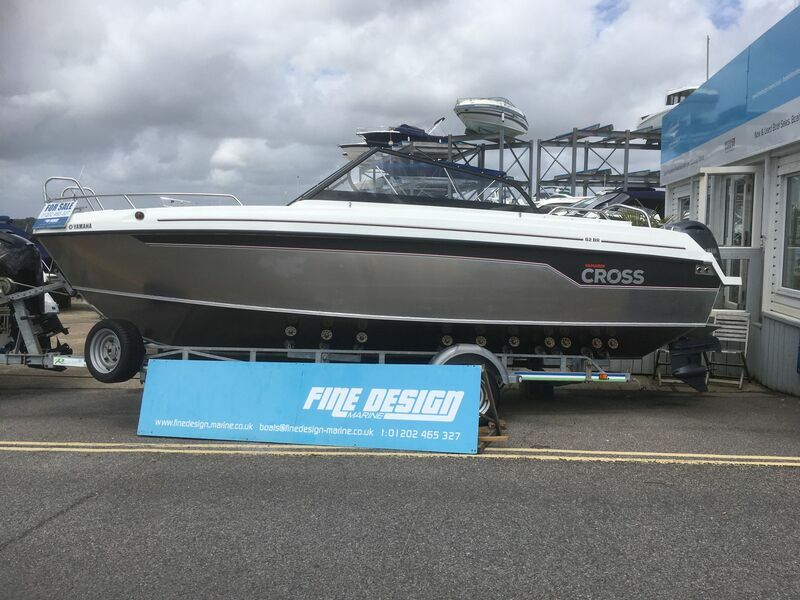 White GRP hull with style stripes, superstructure and decks with non-slip surfaces. Cast iron fin keel. 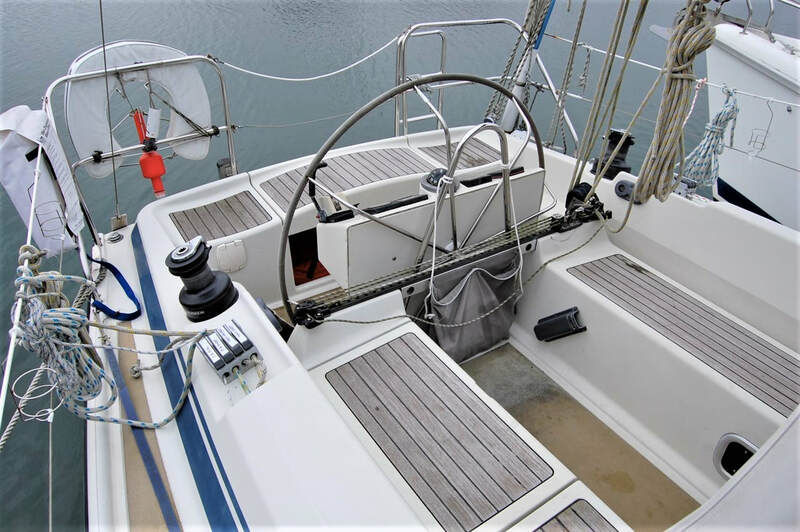 Wheel steering to spade hung rudder. 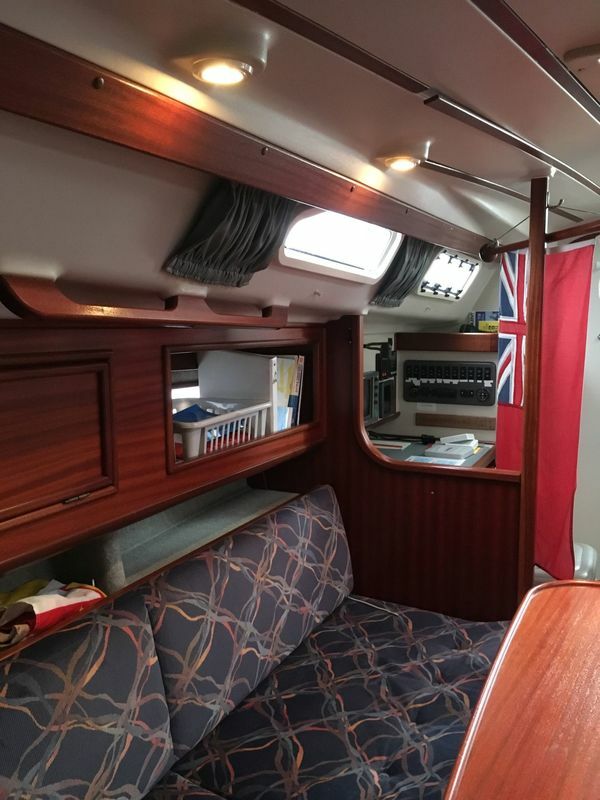 Aft self draining cockpit. 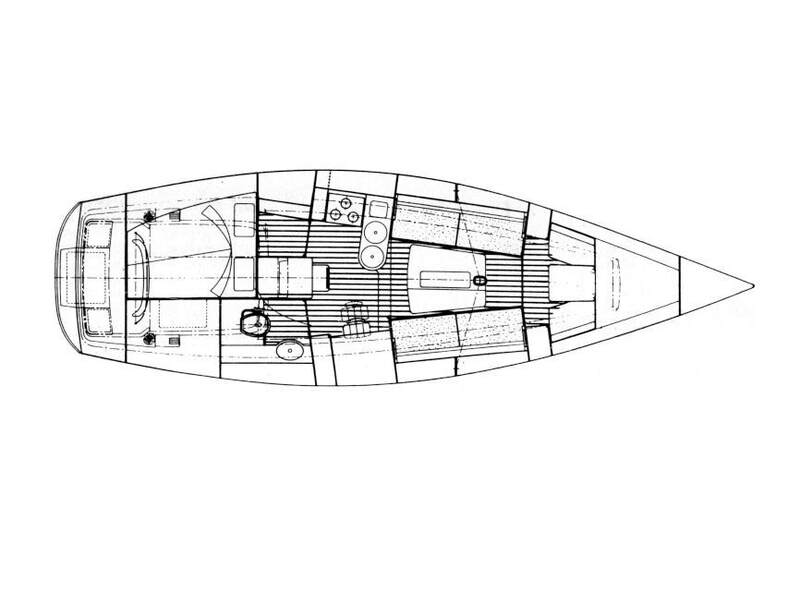 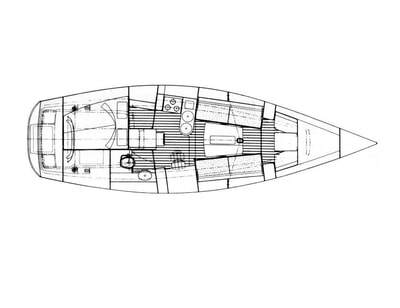 The layout offers six berths with two double sleeping cabins outside the saloon with approximately 6'2" maximum headroom. 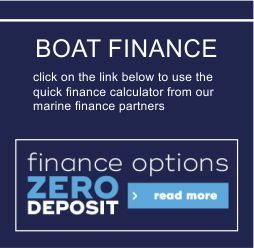 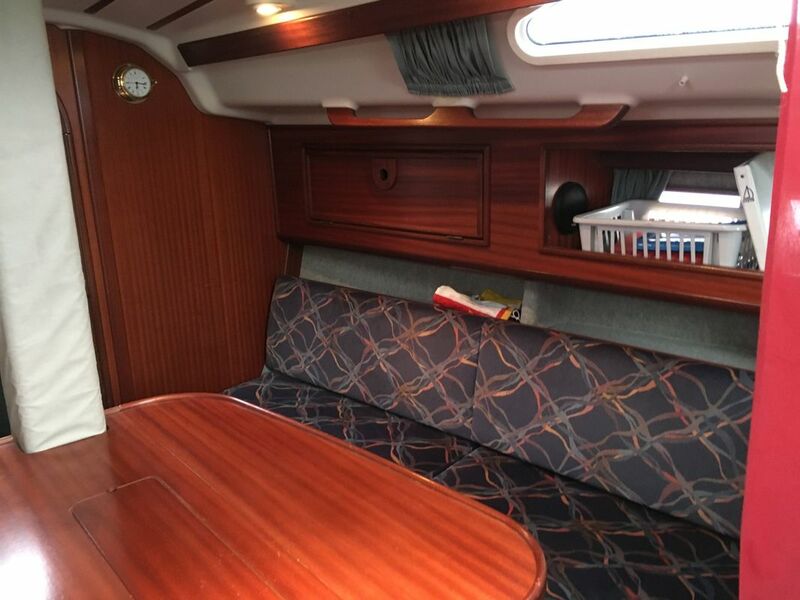 FORECABIN - Unusually, the forecabin can be configured as two seats either side of a small table, ideal for reading or playing cards, with an infill to create a V berth. 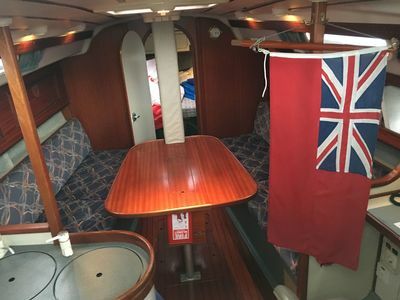 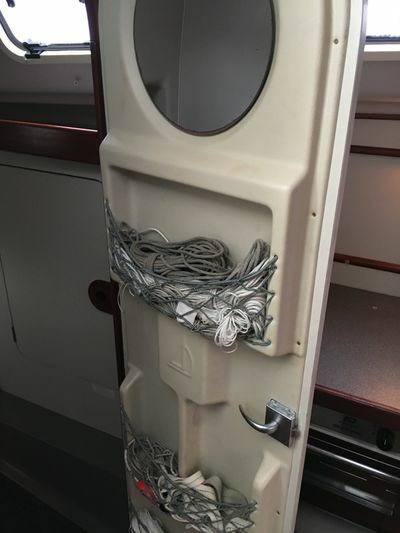 Good stowage is provided by two hanging lockers, beneath berths and on shelves above, with an opening hatch to foredeck and two portlights providing light and ventilation. 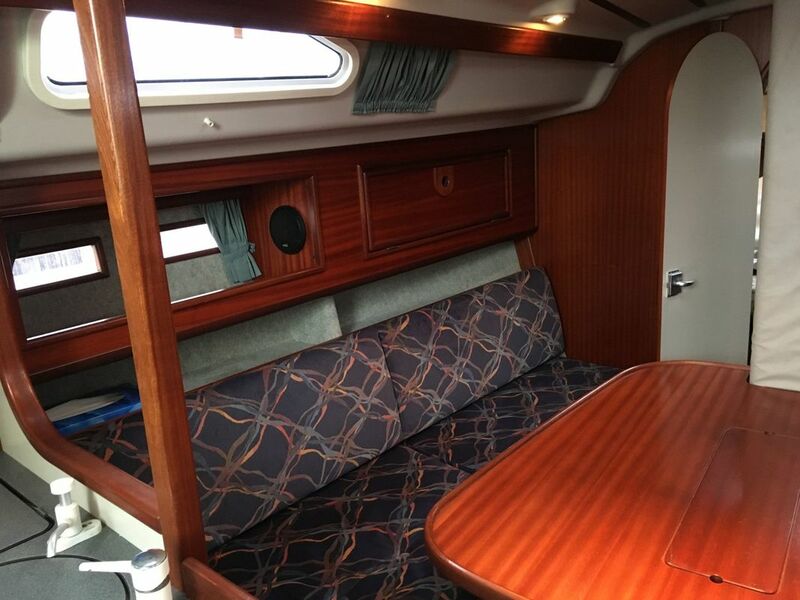 SALOON - Laid out traditionally with settee berths either side of a fixed table with drop leaves and bottle storage. 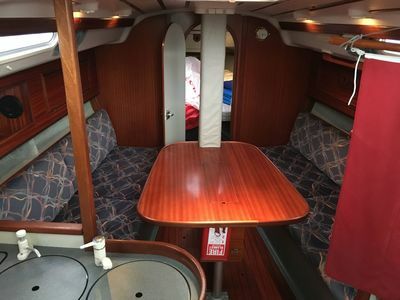 Further stowage is provided by eye level lockers and shelves with the saloon having a traditional yet light and spacious feel. 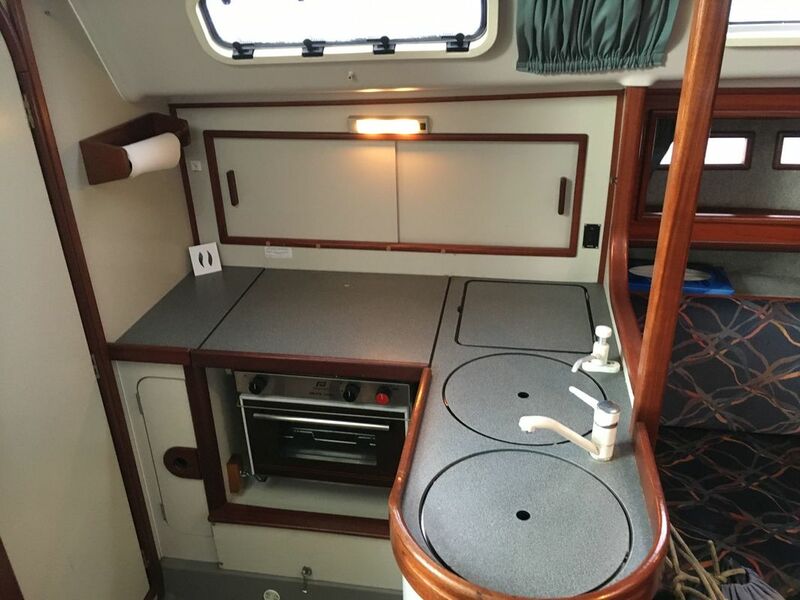 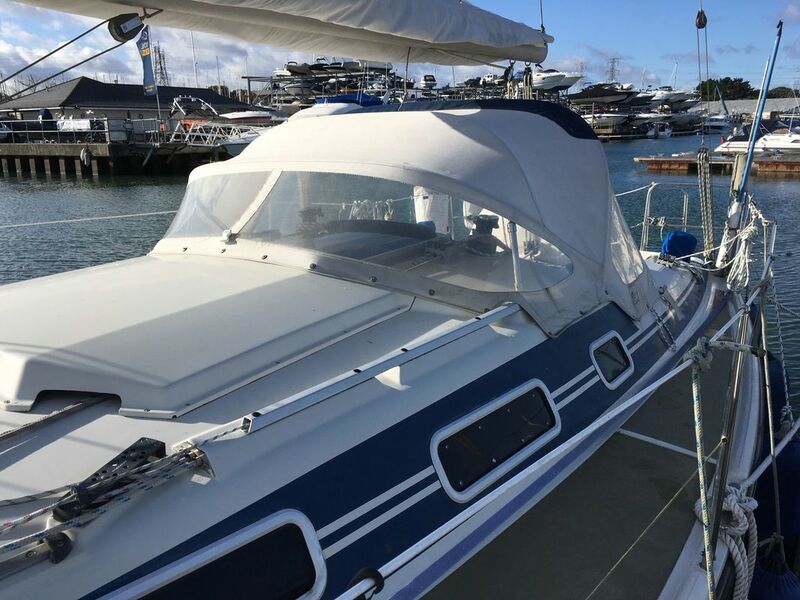 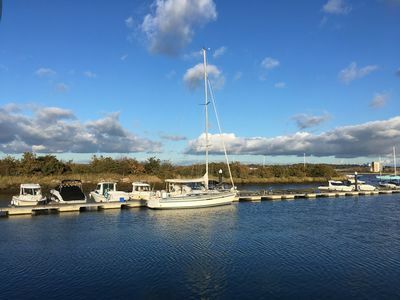 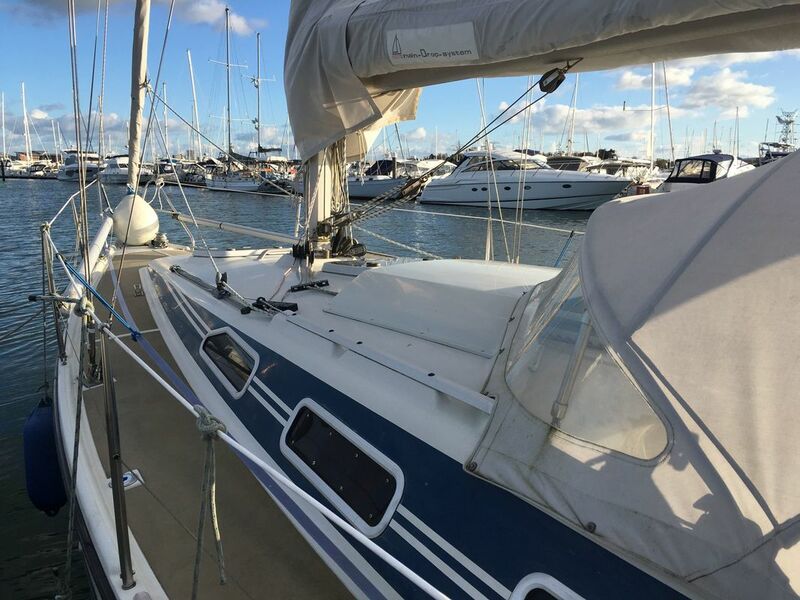 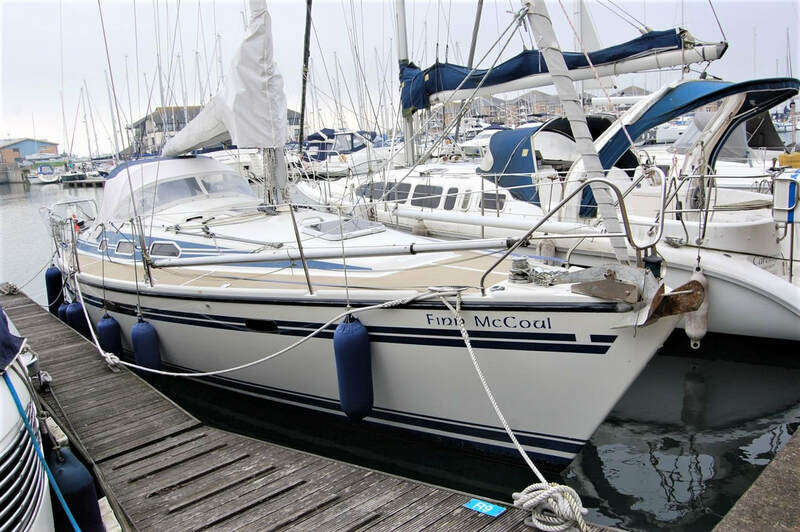 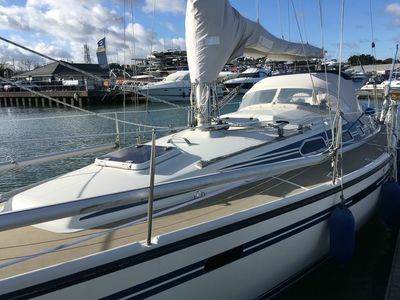 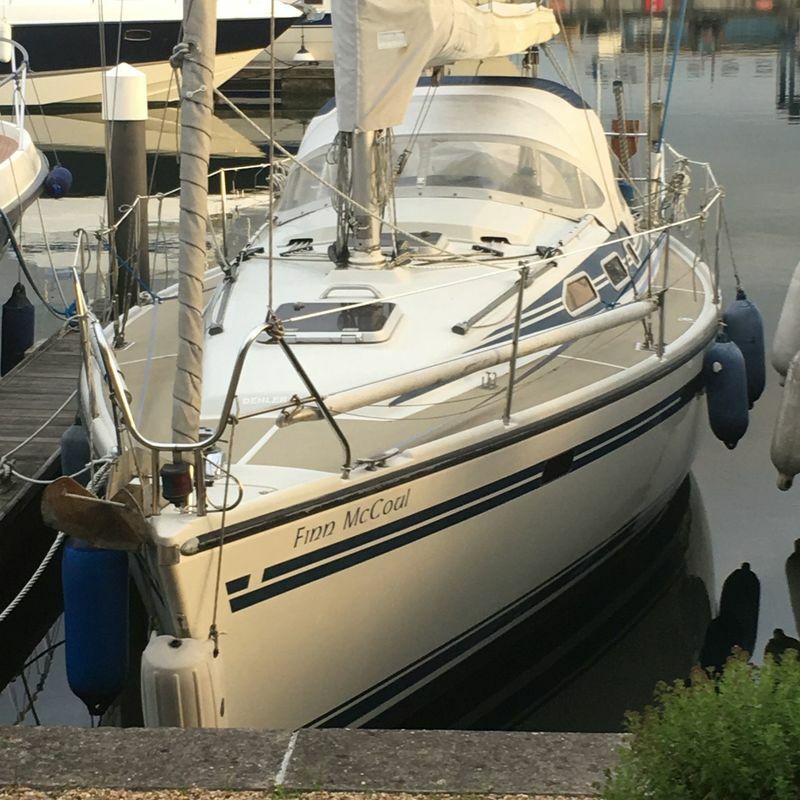 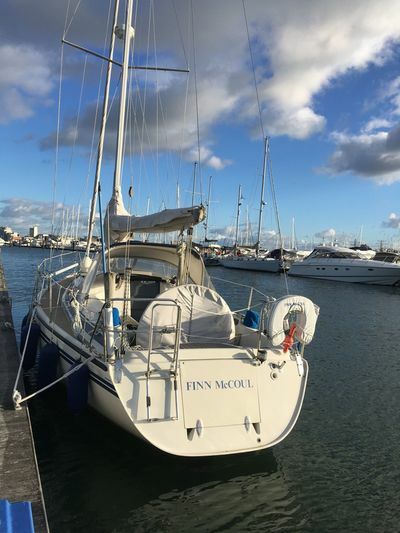 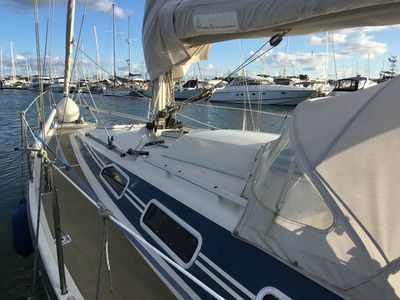 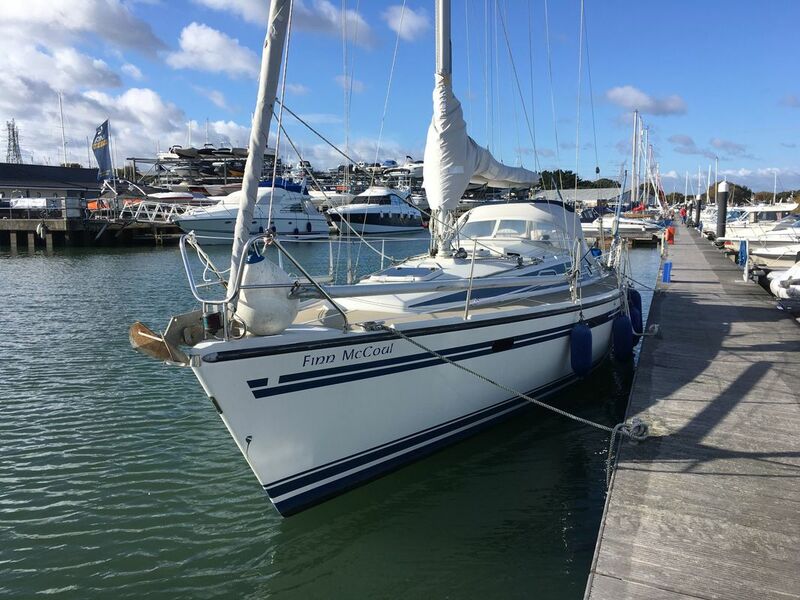 GALLEY - Located aft to port and equipped with a gimballed 2-burner gas cooker with oven, twin stainless steel sinks, fridge, good stowage and stone effect surfaces. 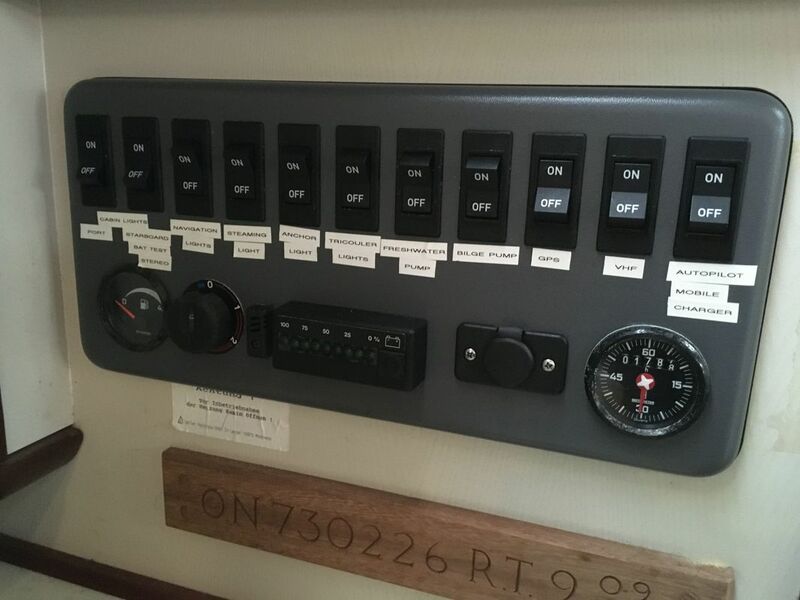 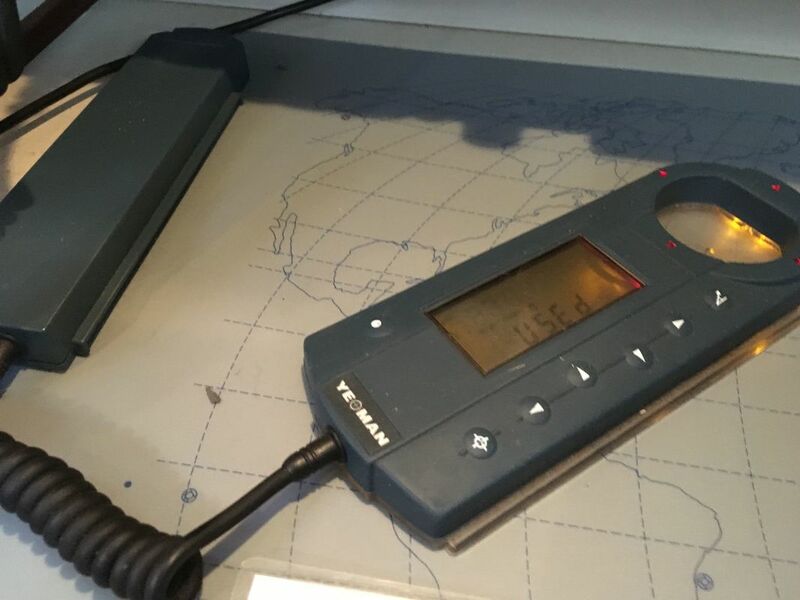 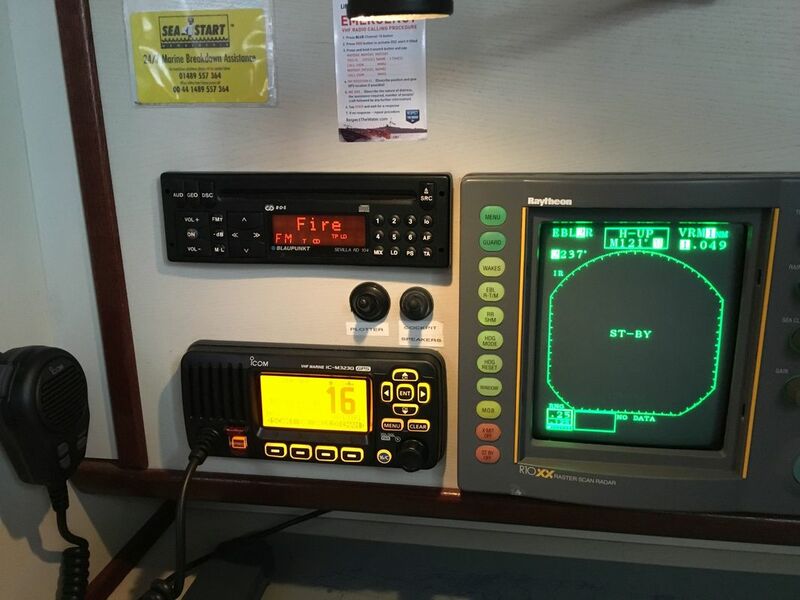 CHART TABLE - Chart table to starboard with electrical distribution panel, navigation equipment, radio, radar screen ,stereo system. 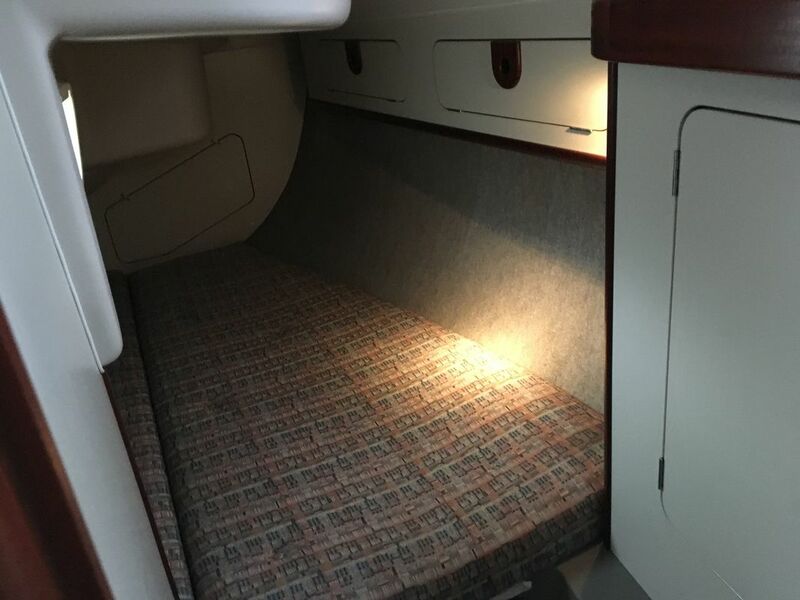 HEADS - Separate heads compartment with marine toilet, shower, washbasin, wet hanging area and storage. 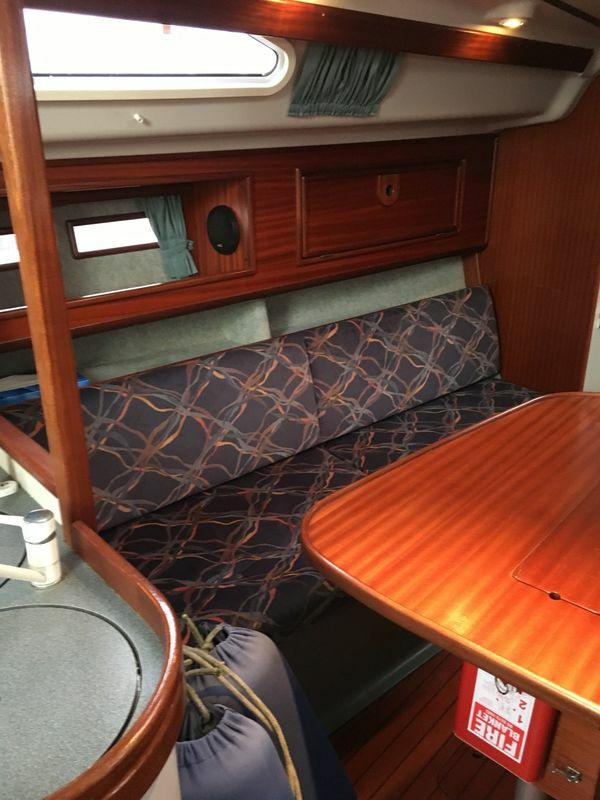 AFT CABIN - Fitted with a double berth, hanging locker, further cupboards and opening portlight. 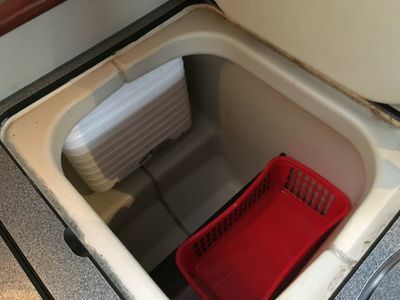 GENERAL EQUIPMENT - Hot and cold water throughout supplied via calorifier with immersion coil. 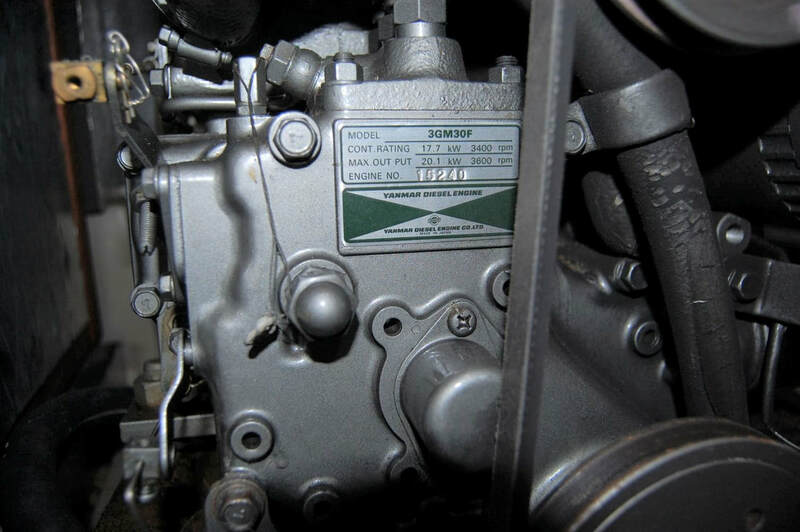 Eberspacher diesel fired warm air heating system. 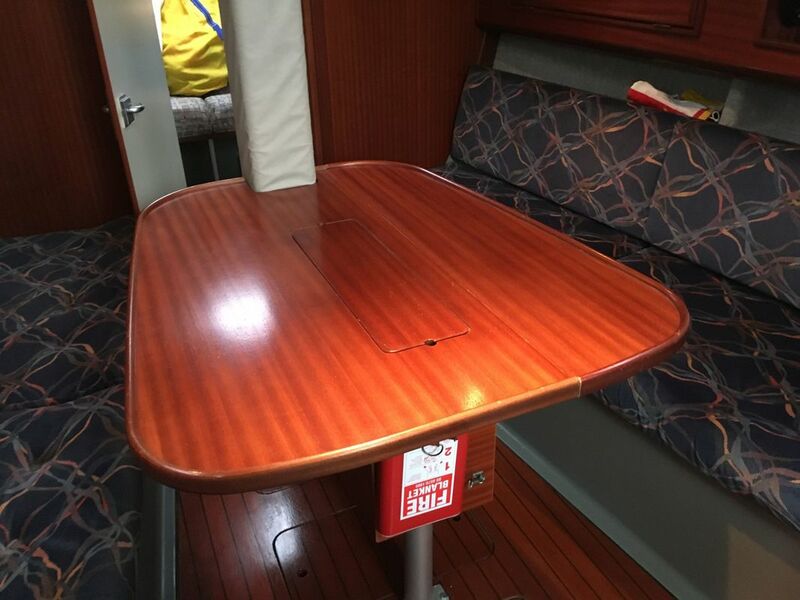 High quality mahogany cabinetry and soleboards combined with white panels and surfaces to create a feeling of space and light. Blue patterned saloon upholstery with grey patterned cabin upholstery. 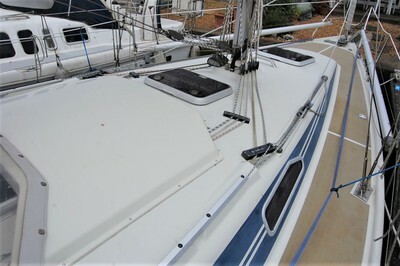 Moulded headlinings and built in blinds to portlights. 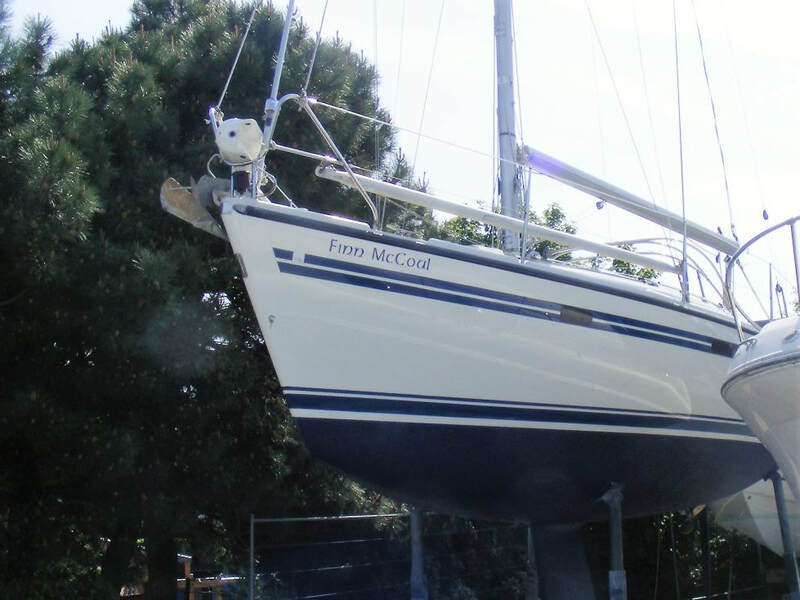 Fractionally rigged sloop. 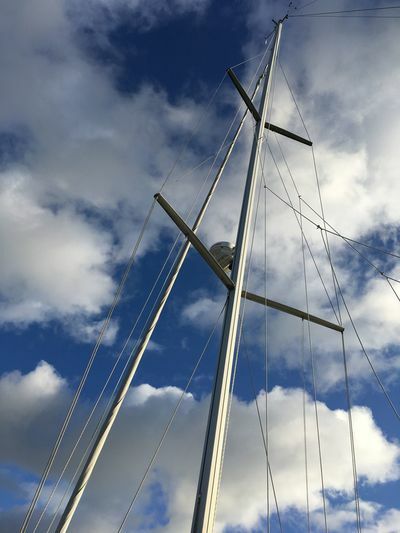 Keel stepped anodised aluminium mast and boom. Spinaker pole. Stainless steel standing rigging with adjustable backstay. 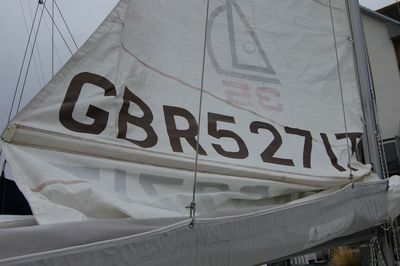 Slab reefing mainsail with single line reefing and lazyjacks. 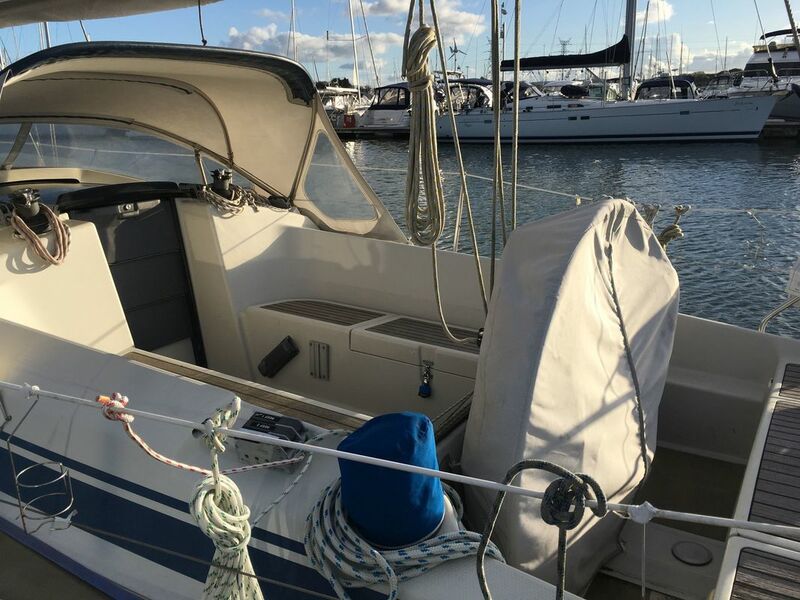 Furlex headsail furling system. All lines led aft to cockpit. 2 x Harken 42 electric 2-speed self tailing sheet/control line winches at helm position. 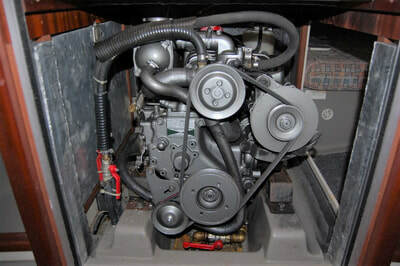 2 x Harken 32 2-speed self tailing control line winches. 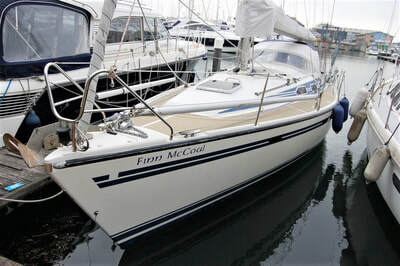 General note on safety equipment: Any safety equipment such as liferaft, fire extinguishers and flares etc., are usually personal to the current owner(s) and if being left on board as part of the sale of a used vessel, may require routine servicing, replacement, or changing to meet a new owner’s specific needs at additional cost to purchaser.